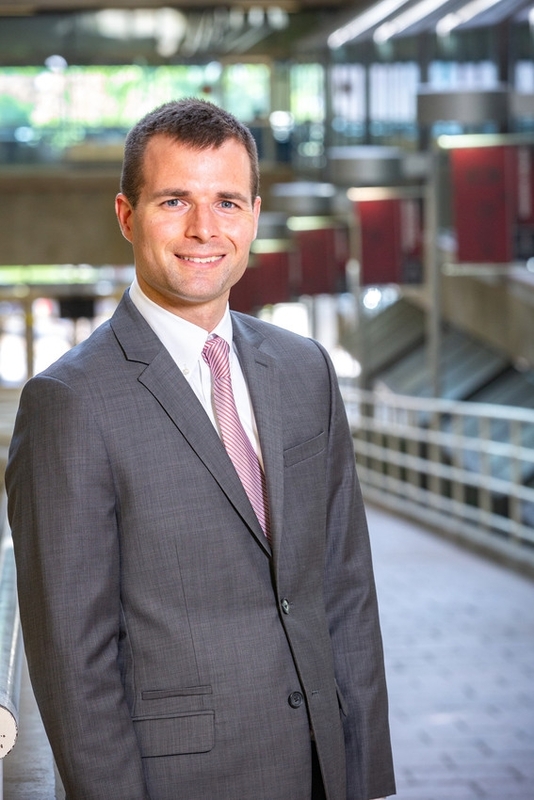 Assistant professor Kelly Sullivan has been selected as the 2019-2020 recipient of the John L. Imhoff Chair in Industrial Engineering. This title, established in 1983, honors the memory of John L. Imhoff, founding head of the University of Arkansas Department of Industrial Engineering. Sullivan received his doctorate in Industrial and Systems Engineering from the University of Florida, after receiving his bachelor's and master's degrees from the University of Arkansas. Sullivan's research focuses on complex systems—such as infrastructure networks, distribution networks, and wireless sensor networks—whose performance degrades when some of its components fail. By advancing theory and computational methodology in network optimization and system reliability, Sullivan seeks to understand how complex systems fail and to determine how those systems can be designed, maintained, or improved at a reasonable cost in order to limit the system's potential for failure. Sullivan recently received a $500,000 grant through the National Science Foundation's Faculty Early Career Development Program, known as a CAREER award. The grant will support the creation of a methodology to design, maintain, and reconfigure wireless sensor networks to ensure reliable performance over space and time. Teaching courses in probability and statistics, operations research, and network optimization, Sullivan also serves as coordinator of the Industrial Engineering honors program and co-instructs a three-course curriculum that prepares undergraduate industrial engineering students to complete honors research projects. He joined the faculty of the Department of Industrial Engineering in 2012. Ed Pohl, head of the Industrial Engineering Department said, "Dr. John L. Imhoff was a visionary in the IE community and his influence lives on today. He was passionate about global cooperation and understanding, excellence in teaching and research, and had a commitment to the success of students. Dr. Sullivan's teaching, research, mentoring, and outreach plans uphold this vision. Please join me in extending our heartfelt congratulations to him."